Two day experiential workshop in Lillooet, British Columbia followed by (4) 60 min Skype sessions once a week of grounding meditations and experiential exercises over the next month. Finding our roots and working through our layers to our Deeper Selves is a great way to come into better embodiment and presence. Being more present in all of ourselves makes us more resilient and grounded in our relationships to others, whether they are our children, clients, lovers or friends. This workshop will cover various ways to more completely come into our bodies through working with feeling our pelvic bowl, gut and the various ways that we can feel rooted. We will work with our ancestral history in order to feel more supported by what has come before us. 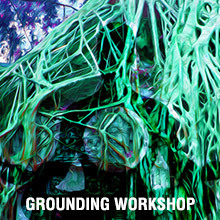 After our two day workshop we will come together once a week as a group for 60 min skype grounding meditations and group feedback to better integrate and deepen our presence. 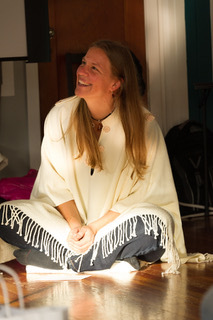 Renee Hella is a Biodynamic Craniosacral Therapy teacher and has been facilitating deep healing work for more than 15 years. Renee’s work is a path of feeling her roots and grounding into her own body by continuously exploring how she can more fully embody her ‘Deeper Self’. When supporting clients and groups she leans back into the support of the Earth and our ancient Grandmothers’. This practice gives more depth, safety, wisdom and multi-dimensional support to the work the group does.